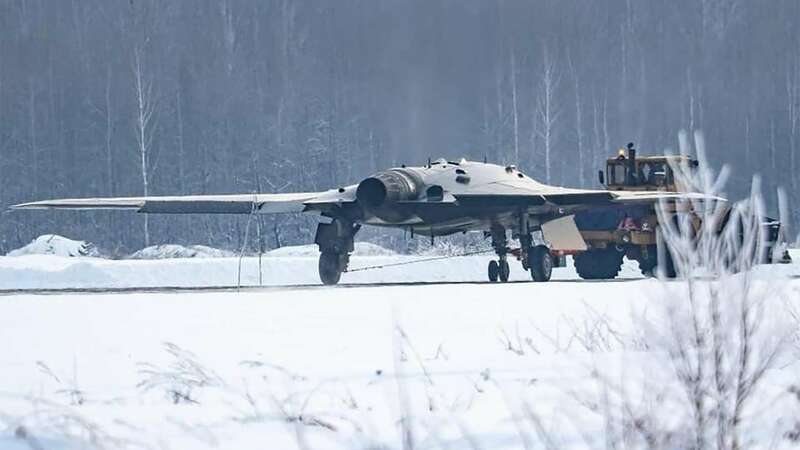 Yesterday, we reported on what appeared to be the first image of Russia’s much-touted, but never yet to be seen Okhotnik, or Hunter, unmanned combat air vehicle (UCAV) that had been in development for years and was supposed to start flight testing soon. 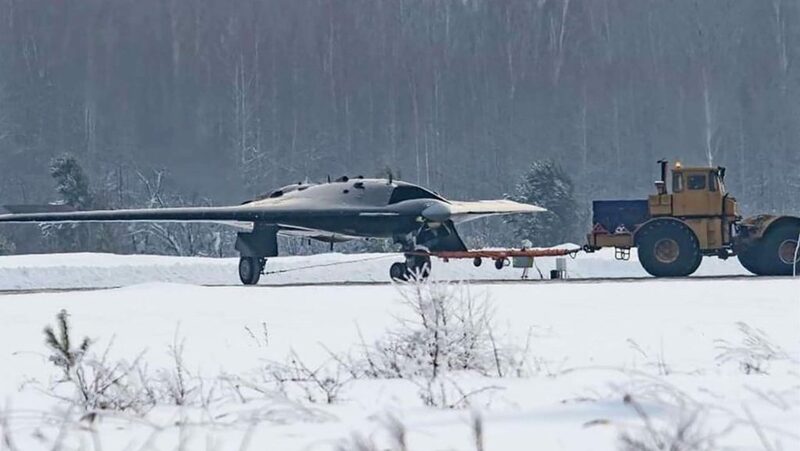 Now, just a day later, new images have surfaced that offer up a much better look at the aircraft, as well as new insights into the drone’s potential capabilities and design limitations. 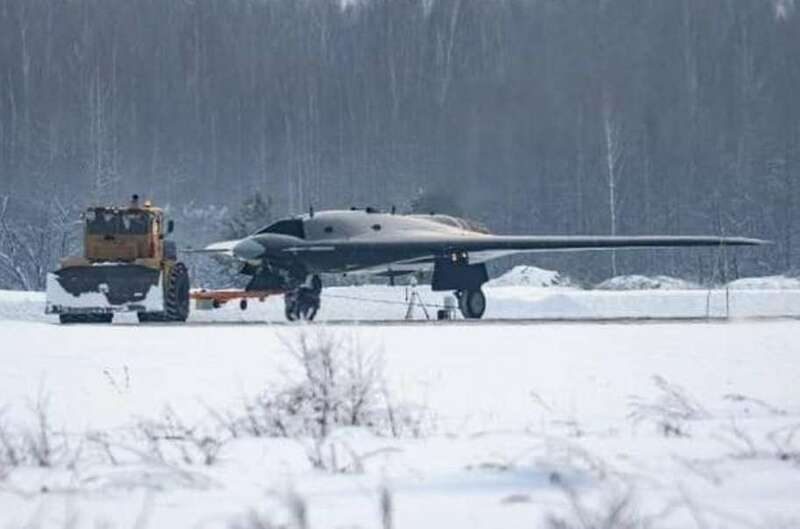 Make sure to read our past piece of Hunter to get up to speed, but suffice it to say that these images show an impressively large UCAV. As you can see, it dwarfs the relatively large snow plow tractor that is pulling it, leaving the impression that it is similar overall in size to a medium weight fighter, although shorter in length and significantly longer in wingspan. Its dimensions appear to be loosely analogous to Northrop Grumman’s X-47B, if not larger in terms of wingspan as it doesn’t appear to feature the X-47B’s ‘cranked kite’ planform. The X-47B was roughly 38 feet long with a 62 foot wingspan.